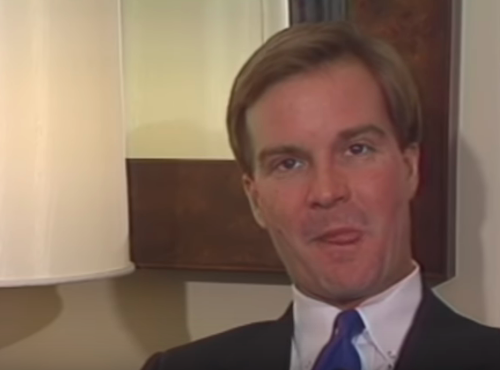 Bill Schuette in a 1989 video. Michigan Gubernatorial candidate Bill Schuette said he regrets his “poor attempt to be humorous” during a creepy exchange with a woman behind a camera in a 1989 video. Schuette claims the exchange was supposed to be a joke. 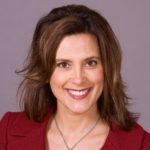 Democrat Gretchen Whitmer seized on the opportunity to criticize the attorney general’s history with women’s rights. A charter school is urging a judge to issue an emergency restraining order against former Detroit Councilwoman Sharon McPhail after she refused to leave her administrative job after she was fired. The lawsuit and request for an injunction also demand McPhail return property from Bay Mills Community College, where she serves as a chief administrative officer, the Detroit News reports. The school was fined after McPhail, for a second year, failed to get the proper school administrative certification to work there. When the beleaguered charter school fired her, she reused to leave, claiming the termination was illegal. The city of Detroit’s new approach to fighting graffiti is to commission murals. The program, “City Walls,” launched last year, so far has paid artists to paint 19 murals, predominately in public and private spaces already tagged with graffiti in southwest Detroit, the North End and West Village. The city now wants to increase the number of murals to 60 by adding $200,000 to the program’s original $50,000 budget.